Michigan. University of Illinois. Harvard. 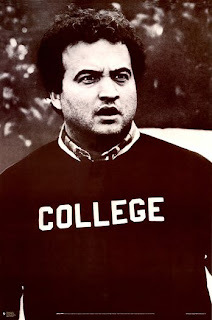 My friends proudly wear their college names plastered to their chest. I’ve never felt that much pride for my three undergrad colleges. (Yes, count’em three – can you say transfer student? I have a hard time making up my mind.) George Washington University was a major mistake, while Columbia University was a fantastic incubator for critical thought, and Naropa University, the Buddhist College with under 1,000 students nestled in the foothills of the Rockies, was the kind of place where you learn not just about your major but about how to live your life as a decent human being. Still, I’ve got no place on my chest for these institutions of higher learning. Instead I want emblazoned on my T-shirts ‘Memorial Sloan Kettering’. UCSF. University of Chicago. Northwestern Memorial Hospital. Memorial Sloan Kettering. (Yes, count’em four – I’ve been treated for my cancer at four different hospitals.) It is not that I had a hard time making up my mind where to go. 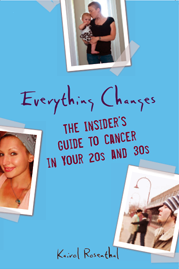 It is that I am a young adult cancer patient. I was uninsured, moved states, switched insurance, got married. Plus, I scrutinize the hell out of every institution and doctor I see to ensure the best treatment at each phase of my disease. So why does Memorial Sloan Kettering (MSK) win the prize? Read on. “Nearly all doctors in the country must take annual refresher courses that drug makers have long paid for. While the industry says its money is intended solely to keep doctors up to date, critics charge that companies agree to support only classes that promote their products. Way to go Stanford but bigger way to go to Memorial Sloan Kettering. Forget Standford’s school wide pool. MSK is the only institution mentioned that has banned ALL industry funding for its doctor classes. I am proud that when my doctors obtain education that influences the medical decisions they make about my cancer treatment, they are doing so based on classroom discourse that is untainted by the pharma podium. It might be stretching it to say that MSK has earned a place in my heart, but they are the institution of higher learning that has certainly won a place on my T-shirt. And you? Would you ever wear a hospital’s name on your chest? Why or why not?